I am using the word “dark” to describe this line of work because it suggests some level of depth and mystery. As if getting your craft to the point where I imagine you might think I have managed to get it after all these years requires a degree of mastery few can be expected to attain. Trouble is, I typically feel just as clueless as I did when I picked up that pen for the first time while studying physics at the University Of Queensland. By day I wrote computer programs to simulate the physical world, and at night I pondered the meaning of the short story. Don’t get me wrong. I’ve learned some things about how to string words together on a page. Still, I will sit down and have no idea how a piece is going to turn out. It is only experience that tells me ahead of time that when it is finally done it will likely wildly exceed my expectations. I guess that means I am GOOD at what I do. If not then I figure I am pleasantly deluded. But of what I do manage to come up with – I’m convinced most of it happens at the level of the subconscious. I can no more tell you how I arrive at my exact copy decisions than any other artisan can explain what it is that truly distinguishes the process that separates their work from anyone else’s. So the art is not so much dark as it is hidden. But is it? Are the reasons the writer comes up with for explaining their successes the ACTUAL reasons for those successes? Because if it was true, and they did completely understand their craft, why would the systematic application of their skills and their belief set sometimes lead to abject failure when the direct response tallies are finally known? And if the talented artist does not fully understand how it is they come up with the magic that produces those big wins, how are they supposed to teach the rest of us how to do the same? At the end of this article I am going to give you access to an approach to siphoning off this kind of copywriting magic from anyone you deem worthy of your attention. This approach will work regardless of whether the person you would like to emulate is able to teach their craft or not. It’s the same approach I used to get inside the mind of Kim Krause Schwalm and bleed off the missing knowledge required to write like she does. Or at least that is promise I am going to dangle before you. Until then, let me tell you something about why I allowed Mrs. Schwalm, and her free-floating “A-list secrets to breakthrough copy”, to possess me like no other copywriter and her lore has been able to do. I say “possess” because the woman managed to convince me to hand over money to learn more about what it is she does (you’ll see exactly how she did that in a moment and why I consider it a feat). I say “free-floating” because before I fell under her sway I pillaged her web site. I downloaded everything she had to offer in the way of tested controls she had written for publishers with large subscriber bases, like Soundview, Boardroom, and Healthy Directions. Transparency is one of Kim Schwalm’s strong points, and before she locked those valuable controls behind a pay wall I availed myself of her free content. Oh, reader, I know a good deal when I see one, and you cannot fault me for that. Looking at one good control from writer A and another from writer B – that was not going to teach me a whole lot about what might have been going through either of those writers’ minds when they sat down to churn out their next big winner. But many controls from the SAME top notch writer? That might work. In fact I was sure of it because it was the same approach I used to learn something about how to piece together stories of fiction. 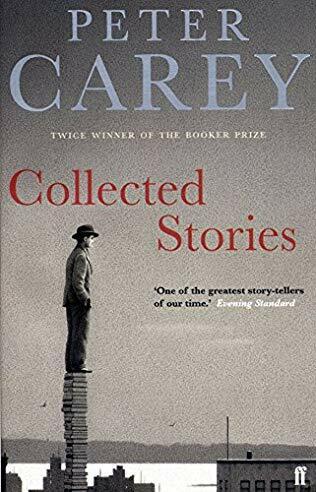 Back when I puzzled over the physical world by day and pondered the craft of storytelling by night I studied the collected short stories of masters of fiction: Peter Carey, Ian McEwan, Ethan Canin. And the novels of Vladimir Nabokov. With the work of one narrator at your disposal you can discern patterns in the writing. This is important because it opens your mind to the possibility that there is a system behind the magic – a set of rules for creating masterpieces. That’s not hyperbole. 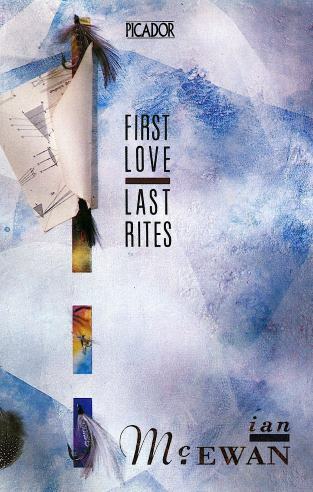 I was drawn to writers who could perform feats of storytelling which seemed vastly beyond what the rest of us mortals might be capable of achieving. And yet… patterns suggested an underlying logic to it all, and logic is all about systematic construction. You can clone a system of construction. It is the basis of most of civilization and it can be used as the basis for siphoning off the magic of your writing heroes. So getting access to a bunch of Kim Krause Schwalm controls was a good first start to figuring out what makes her tick as an A-list copywriter. But why her, you might be wondering, and not some other “top of the heap” copywriter? She doesn’t waste my time. I am on Ms. Schwalm’s email list and unlike a lot of other copywriters I eavesdrop on, she doesn’t talk a lot of nonsense just for the sake of getting in my inbox. She’s not wasting my time with useless advice about how to live my life. 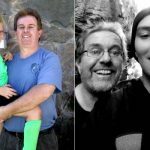 And she’s not jacked up on testosterone, convinced that every sentence she writes is a pearl of wisdom that I’d not otherwise be able to figure out on my own – or worse, decide is just dead wrong. She’s smart enough and experienced enough to know that she isn’t going to be able to “smart mouth” me into liking her when plain transparency will do the job a hundred times more effectively. I might have mentioned that. I like smart women. Also women who can write strong logical copy. 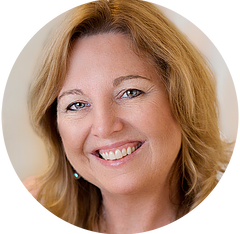 Kim has a Bachelor of Science degree in Mathematics and Statistics and an MBA in Marketing. Her appreciation of “facts and figures”, of the actual truth behind the products she is promoting, of the necessity to mine the logic of an argument, it comes through in her sales letters. If she is pulling the wool over our eyes it does not show, and if she’s managing to do this again and again that means she most likely isn’t attempting any kind of deception at all. Her promotions have the ring of authenticity to them, and the way I see it you need to make this one of the primary objectives of your copy. The process is demanding, and only a smart writer is going to be truly exceptional here. I can see myself doing what she does. One of her specialties is dietary supplement copy, which I fancied I might like to take a crack at sooner or later. Did I mention that I was once a scientist? That I abhor the factually-inaccurate approach to writing about scientific matters that passes for “good copy” in a lot of today’s dietary supplement promotions? Why are people who are lacking in higher education, people without the faintest clue as to what it means to have scientific discipline, writing copy for products built from the ground up on the principles of science? Beats me, but I see it happening all the time. If I’m going to study someone for hints on how to write good technical copy, it’s going to be a writer like Kim Schwalm. Someone who actually knows what she is talking about. Not someone who others, because of their own ignorance, only imagine the writer knows what they are talking about. So that’s already THREE VERY GOOD REASONS for deciding to study Kim Schwalm. But there’s one other reason for doing so, and it was the deciding factor which allowed me to go “all in”. Well, it’s more like a collection of good practices. Yes, her “Virtual L.A. Boot Camp Intensive” is very much like that. On March 7th, 2017 Kim held her live “no holds barred” intensive in the city of Los Angeles, not too far from where I lived. I tossed the idea around of going, but ultimately thought better of it. Mostly because I was not working on anything I could take to her seminar/workshop and present as “something in need of group-think”. But besides that I had already developed the stalker mindset and a stalker should try to keep their distance from the prey. I decided I wanted to see how much Ms. Schwalm could teach me without ever knowing I existed. So I moved on to the next phase of my plan to infiltrate her mindset. I patiently waited for her seminar to be turned into a two-DVD set of videos of the event and a 60-page illustrated work book. Then I forked over the money to get my hands on it. I very rarely purchase anything for the sole purpose of “learning” how to write copy. When you have been at it sufficiently long you start to distrust anyone who claims to be able to teach you how to do it. Kim’s 2-disc video set and workbook did not disappoint. Recommended. Of course, when the Intensive arrived in the mail it was just icing on the cake. I was already in possession of the deepest, darkest secrets of this A-List legend. I had her controls. So in theory I knew her playbook inside and out, but getting my hands on her literal playbook was going to allow me to be confident I had not missed anything. After absorbing all her valuable lessons on how to write breakthrough copy, when it finally came time to sit down and churn out that next masterpiece in the style of my quarry, I discovered something was missing. It was the one thing that would allow me to fully give myself over to the spirit of Kim Krause Schaum so her genius could flow through me and deliver the necessary magic. As promised, I am going to give you a full account of how to perform this mindset cloning exercise, but I am going to make you work for it. You will have to join my newsletter and request it. 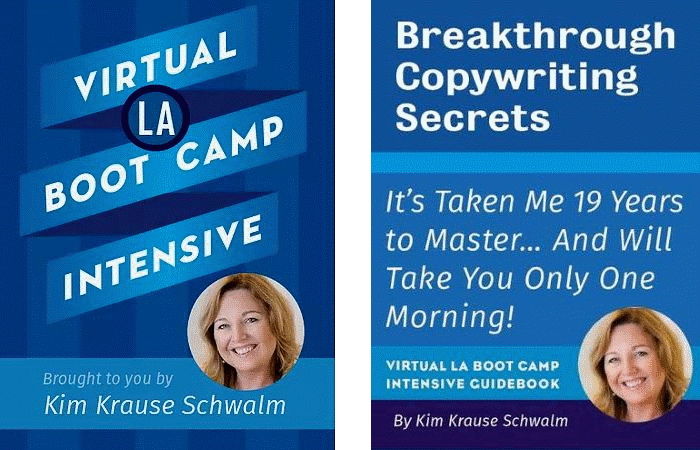 Simply ask for a copy of “How To Write Like A World Class Copywriter” and I will send you a 40-page PDF guide on how I cloned the mind of Kim Krause Schwalm. Or at any rate, that’s my claim. Whether or not I managed to do that you’re going to have to figure out on your own. But if you want to see how I went about it, request the guide. So there you have it, seven foaming-at-the-mouth testimonials for why you might want to try out this exercise in vicarious mind-melding as Mr. Kimes so accurately described it. Get on my list then hit me up. In addition to the guide you’ll get 30 days worth of my most deeply embarrassing stories. I mean, who could resist?